Photos by DD Peter Paul Coleiro. 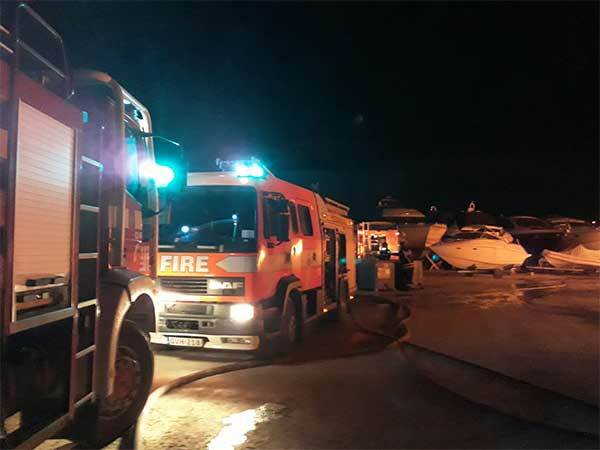 Last night the Civil Protection Department responded to a major fire in a private boat yard in Naxxar. 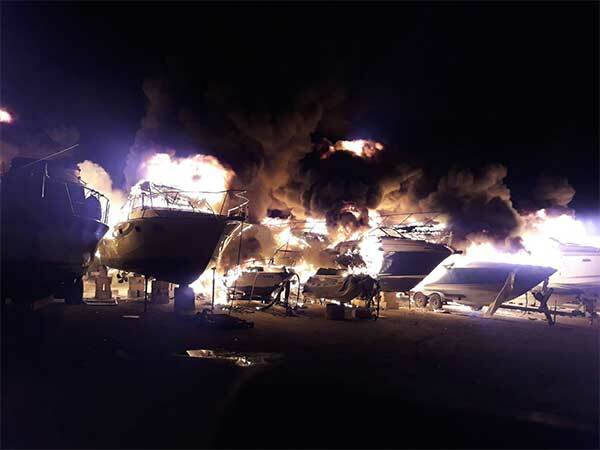 19 boats and yachts were involved in the fire, with Civil Protection personnel managing to prevent the fire from spreading further. 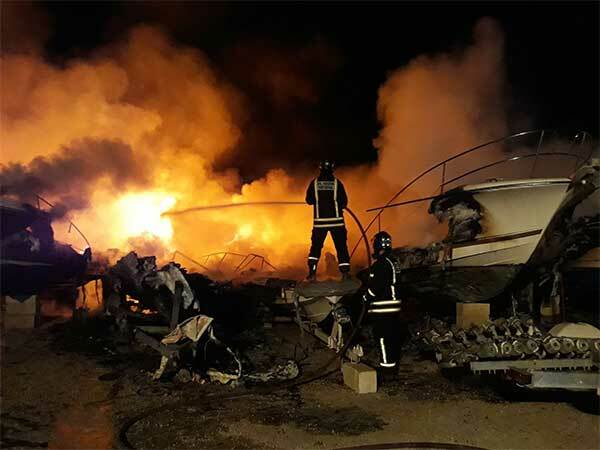 The operation lasted over 7 hours involving 4 officers, 14 fire fighters, and 8 fire appliances. 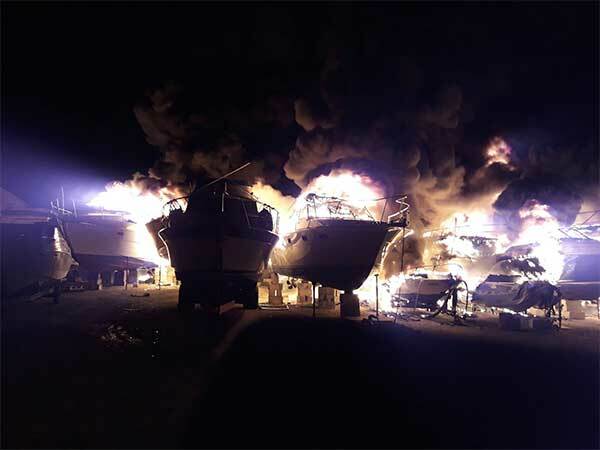 180,000 litres of water and 7,000 litres of foam were used to bring the incident under control. 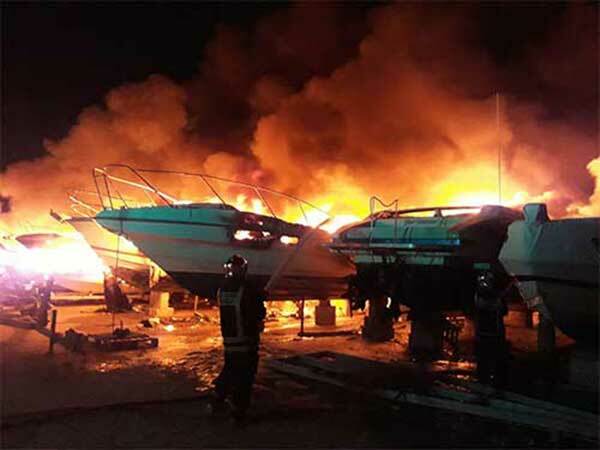 The police said that there were no injuries. 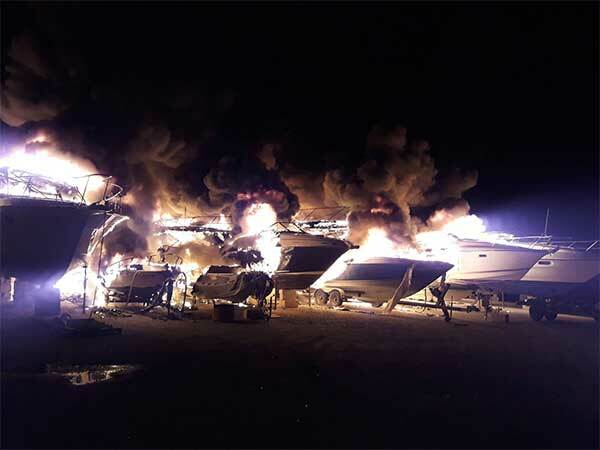 A man who was on site said boat owners were seen crying in the boatyard as months of hard work went up in smoke.